Horatiu Rusu & Andrei Gheorghita - Social security spending and social solidarity in Romania. The paper discusses the connection between support for solidarity (at individual level) and social expenses (at locality level). The paper investigates how identity of EU expats to Bucharest is shaped by interaction with Romanian society. Are Romanians believing that Hell exists? Data from WVS 2017-2018 allow us to answer the question. We use the opportunity to launch our YouTube channel, with a rather experimental clip in which Bogdan Voicu explains how did belief in Hell changed over time, in Romania, and sketches a couple of explanations. The very short clip is in Romanian, but English subtitles are provided as well. 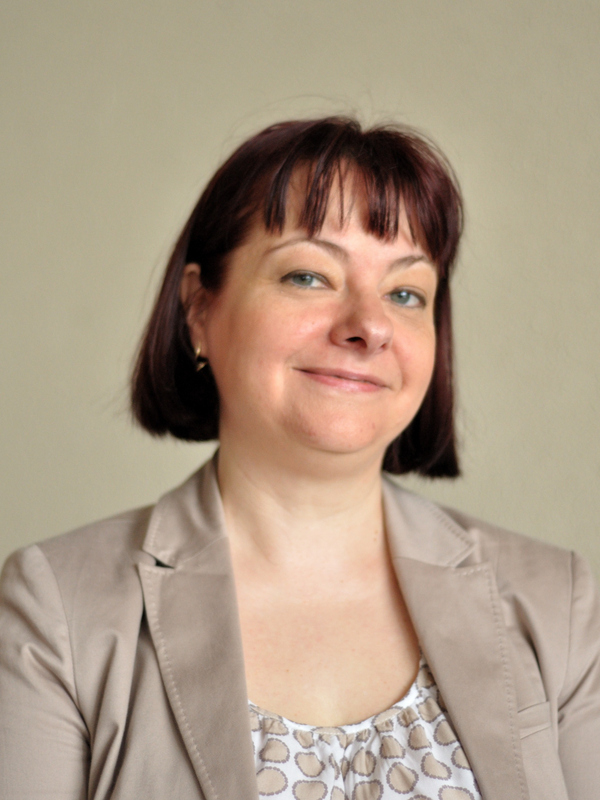 several years in which she choose a different path, Mălina Voicu comes back to our team. Since she needs no further presentation, we simply announce here Mălina's presence as our colleague. While we still work on data cleaning the 2017-2018 versions of Romanian EVS and WVS datasets, it is time to introduce our new team members. nizations. Active in the local community of Brașov, Romulus was included by Bussiness Magazine in its 2018 ranking of 100 Young Top Managers. In spring 2018, Romulus carried out an online survey with respondents from the ten larger cities in Romania. The survey includes gender beliefs items identical to the ones in the current waves of EVS and WVS. Methodological experiments are likely to be carried out using data from the three sources. One may see Romulus in action in its short interview for Business Magazine. These days, our colleague Claudiu Tufiș is attending the "International Academic Conference of Values and Value Education under a Community with a Shared Future for Mankind" (June 19-21, 2018 – Changchun, China). 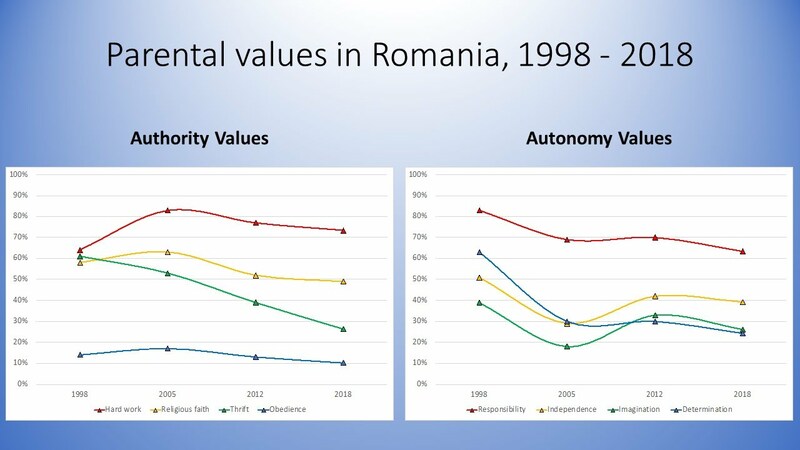 His presentation discusses the child-rearing values and makes use of the preliminary data from the 2017-2018 Romanian data from World Values Survey. The basic message is the relative stability recorded in the past 5 years, with traditional values still being slightly more important as compared to imagination and independence. Photos from the event in Changchun could be retrieved at this link. The Romanian Group for Studying Social Values organizes a section within the SSR conference in Timișoara, scheduled for 14-15 September. We are collecting contributions based on the current waves of the European Values Study and World Values Survey. We plan to have at least a session based on Romanian data and one on contributions from various other countries. With respect to data we have gathered, they include samples larger than 1400, one for EVS, another for WVS. The WVS dataset also include a panel subsample of 650 respondents which were interviewed in 2012 as well as part of the Romanian version of the WVS 2010-2014 data collection. For those intending to use the data within the conference, the preliminary WVS data will be available starting next week. The preliminary EVS dataset and the combined datasets will be available by the end of May. Those intending to use the data should register for the conference (deadline: 15th of May), and we will provide them with the dataset(s). Otherwise, data will be available for dissemination by the end of the year. About the conference: this is a generalist conference, but focused somehow on social change. Keynote speakers include prof. David Voas (UCL), prof. Hermann Dülmer (Köln), and prof. Cosima Rughiniș (Bucharest). Organizers expect a presence of roughly 100 participants. Official language is English. A list of sections can be retrieved at the above link. Timișoara airport is connected by direct flights to major European hubs, such as München, Frankfurt, Paris, London, as well as to Bucharest, several Italian airports, Madrid, and Iași (Romania). The multiethnic city is known for being the spark of the Romanian 1989 Revolution, and it is located at driving distance to several European capitals, including Belgrade (160 km), Budapest (282 km), Zagreb (477), Sofia (502), Bratislava (507), Wien (550), Podgorica (598). In 2018 our team celebrates 25 years of activity. That is 25 years since the first value survey took place in Romania, in 1993. The year also coincides with the Romanian celebration of 100 years since Transylvania, Bucovina, and Bessarabia (Eastern Moldova) joined the Romanian Old Kingdom . - many graphs and short interpretation will be presented in these page and on our Youtube channel. So, wait for more content, in which we describe all of above, starting ... quite soon. Stay tuned! The 2017 edition of the conference continues the tradition initiated by the Department of Political Science, within the Lucian Blaga University of Sibiu. Debating Democracy and Governance, the conference invites abstract submissions until 19th of April. First Annual Conference of the Romanian Network for Migration Studies (RoMig). ''Migration from and towards Romania. This is the first event of the emerging network devoted to Romanian migration. Registration is open until 30th of April. The call for papers proposes an interesting plethora of topics, to be addressed in the context of the various flows involving Romanian migrants.